The DEA just won the “Holiday Buzzkill Award” with their recent announcement about CBD, throwing country into an uproar. 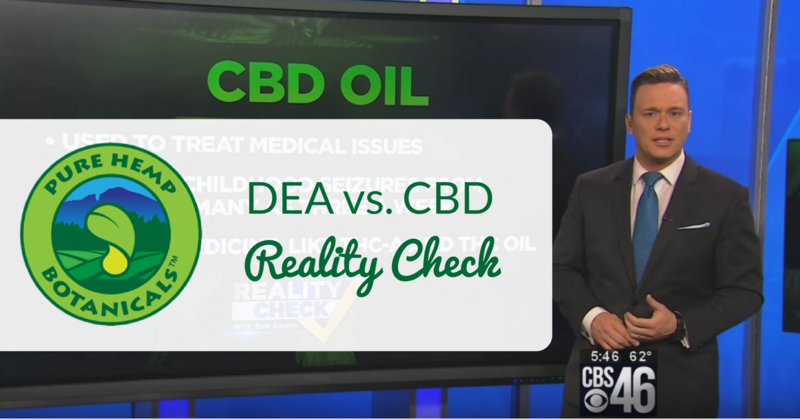 CBD, a key component of hemp oil, has just been classified by the DEA as having no medical value, with a high risk of abuse – the exact opposite of what scientific studies and personal stories around the world are showing. Across the nation, jaws collectively dropped. Families worldwide are using CBD and have had some very encouraging results. Watch the video below to learn more about the case for CBD, and why we’re not going away any time soon. Is the Hemp Industry Shutting Down? Absolutely not. We’re here to stay, and we plan on being 100% compliant with US law as we always have been. This isn’t the first time that the DEA tried to make a move on CBD – last time, their case was thoroughly rejected as unlawful because they don’t have the power to create laws, and we feel strongly that this will continue to be the case. Hoban Law, one of Colorado’s premier cannabis law firms, is currently making preparations to challenge this stance with a powerhouse of a team. Community is a big part of the picture too. We CBD people are a resilient sort. Many of us joined this community because we were sick and tired of feeling sick and tired. We challenged ourselves to find a better way, and found it here. We come together when times get hard. We challenge our lawmakers and our doctors to grow and learn. We educate each other and offer support. Right now, coming together is what it’s all about. This issue is bigger than any one group – it affects our entire community! We want to help Hoban Law as they make preparations for their case, because we’re all in this together! Here’s a few things you can do to help make sure that hemp is here to stay. We’re launching a 10 day drive where we put 10% of ALL sales towards Hoban Law and the National Hemp Association, to support their efforts. When you shop with us, you’re also helping your voice be heard! Education is the first step to normalization. Educate friends and family about the health benefits of hemp. Talk to your friends at your fitness class. Educate your healthcare providers. Donate directly to Hoban Law to support their legal fund! Do you run a business or have friends and family who do? Encourage them to consider donating to the legal fund as well! The most important thing to take away from this blog is this: When we stand together, the future is bright.